When there’s football on the TV, there’s nothing better than the crunch of potato chips. 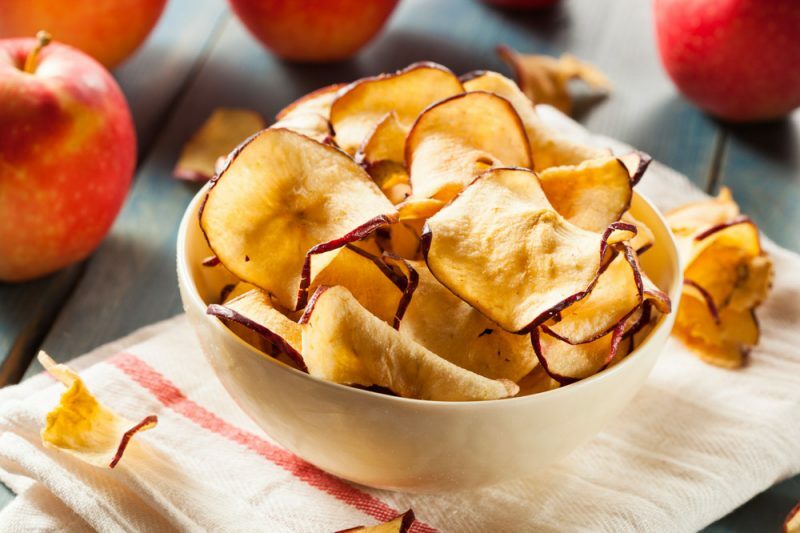 But since it’s normally game over once the bag opens, here are 3 healthier — and tastier — ways to satisfy your chip cravings that won’t have you sweatin’ the extra pounds by the Super Bowl. Use a mandoline or a chef’s knife to cut slices 1/8 to 1/4th of an inch thick. It’s important to use thin slices to get just the right crisp. Line baking sheets with parchment paper and place the apple chips on them in a single layer so they cook evenly. Sprinkle the chips with pumpkin pie spice. Bake for 30 minutes and then flip them. Cook for another 30 minutes. 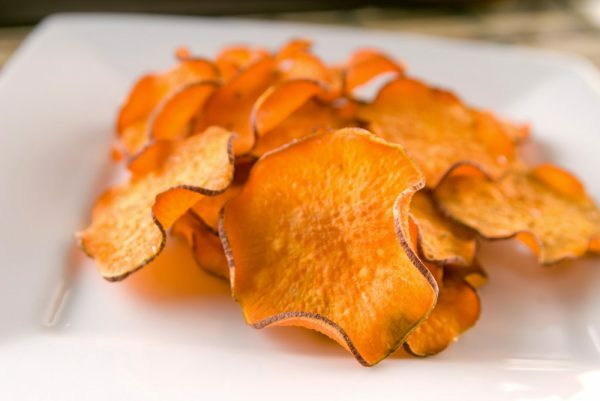 Line baking sheets with parchment paper and place the sweet potato chips on them in a single layer so they cook evenly. Brush the chips with olive oil, and top with minced garlic and rosemary, and sea salt. Bake for 20 to 25 minutes or until crispy. Line baking sheets with parchment paper and place the beet chips on them in a single layer so they cook evenly. Bake 20 minutes. Rotate the sheet and bake 10 to 20 more minutes. Top each chip with a dollop of goat cheese.